Detailed planning and superior workmanship ensure your In 2 Kitchens product will be suited to your exact requirements. We are more than happy to consult with you and offer our advice, with no obligation. At our workshop we have a large range of product samples to touch and feel, mix and match - to help you begin to visualise your new kitchen. We are now authorized installers of Thermawood Double Glazing. 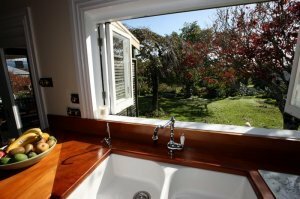 Thermawood Retro-fit System creates a unique dry glazing system to enable the double glazing of existing wooden windows in your home. © 2010 In2Kitchens. All rights reserved.